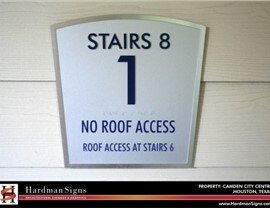 Ensure your location's navigability with wayfinding signage from Hardman Signs. 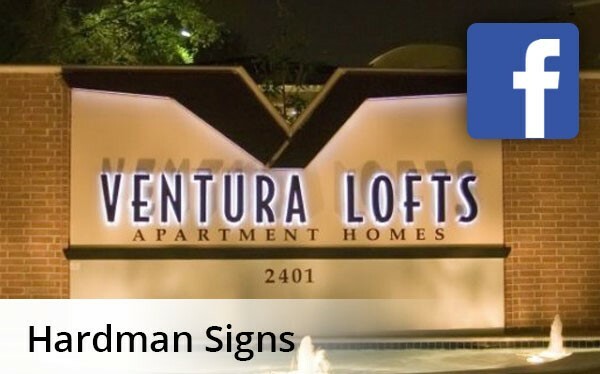 Our company custom-produces both interior and exterior directional signs for clients in a range of industries and across a wide service area. 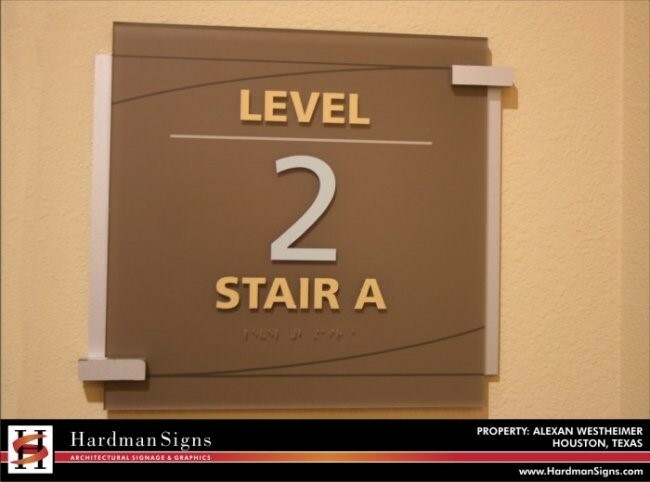 We employ a full-time staff of designers, project managers, engineers and other experts who are dedicated to the quality design and the efficient creation of your directional signage. 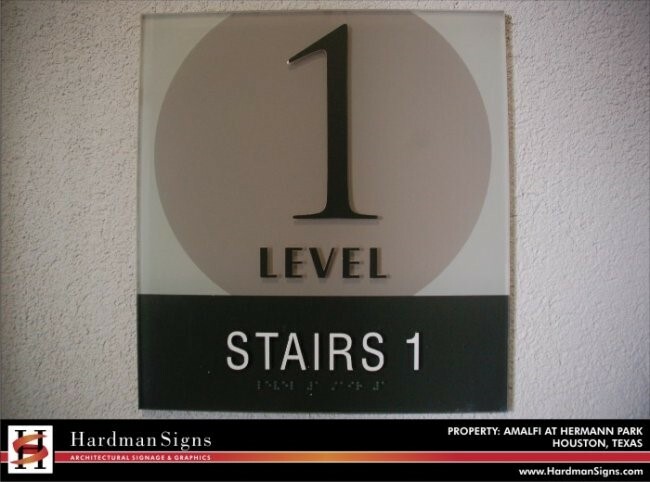 We also employ a site analysis/permitting staff who will secure sign placement permits and clearances from municipal authorities. 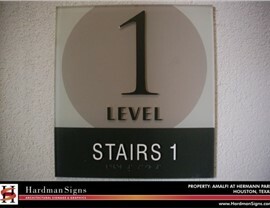 No company is better equipped for meeting your wayfinding signs requirements than Hardman Signs. 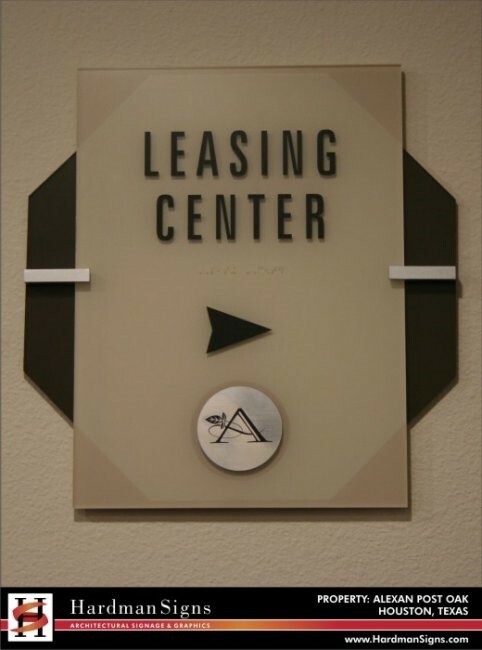 After you contact us with your wayfinding signage requirements, we'll go to work creating the signage model that takes your specifications into account. 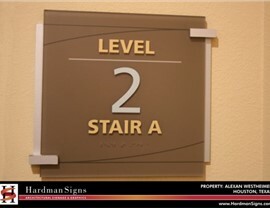 Hardman Signs personnel will visit your location to learn more about your location layout and directional signs requirements and will custom-create your directional signage accordingly. 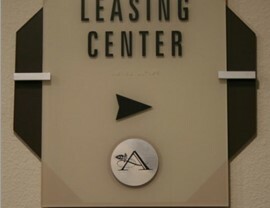 All fabrication is completed in one of our expansive facilities, and your wayfinding signs are regularly serviced by a trained team of maintenance professionals. 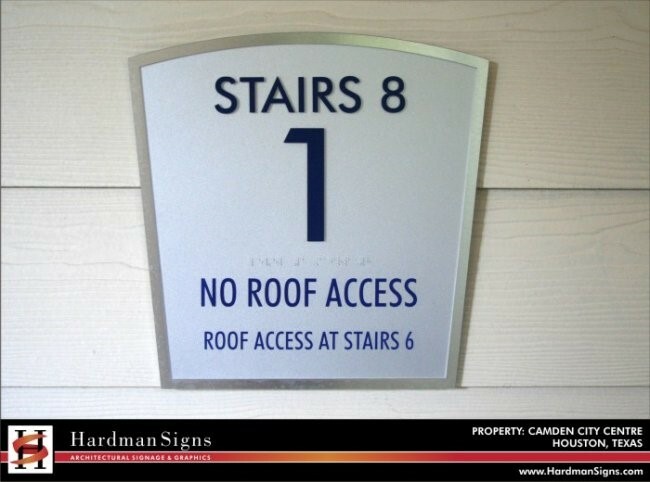 ...Contact Hardman Signs today. 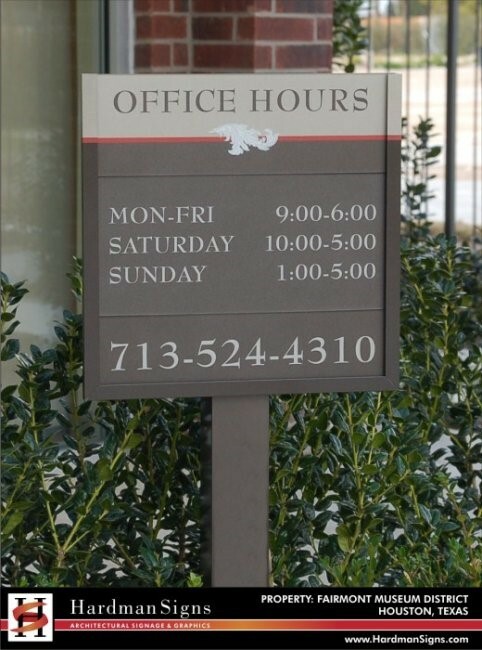 Our company owns locations in both Georgia and Texas, and we're the Houston wayfinding signage, Austin directional signs and Atlanta wayfinding signage company of choice. 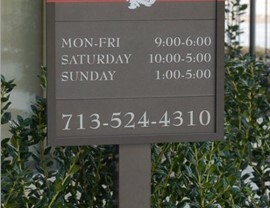 Fill out our no-obligation quote form to receive your free estimate or call today to learn more.